In September we will commemorate the Slovak National Uprising of 1944 which was an isurrection led by Slovak resistance movement aimed to resist German forces occupying Slovak territory. 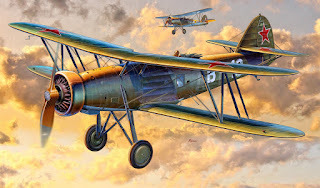 So why not to use this occasion and offer the modeller a kit of a famous biplane which was operated by the so-called Combined Squadron, a bomber and reconnaissance unit of the insurgent forces. The Letov Š.328 boxart has already been finished, four colour scheme options will follow suit shortly.